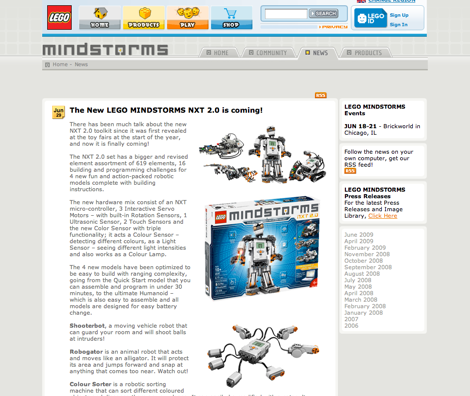 The official MINDSTORMS site has now announced the upcoming release of the NXT 2.0 set. The news release reports that “pre-selling will start on July 1” at the LEGO online shop, Amazon.com, and TRU.com. This entry was posted on Monday, June 29th, 2009 at 08:14 and is filed under Events. You can follow any responses to this entry through the RSS 2.0 feed. Both comments and pings are currently closed.